To start off with, you can start with a general collection instead of sticking to a category. Thus, you will have numerous stamps featuring various things. You will learn about the stamps you have in your collection in this way. Store your stamps in an album and then start categorizing them base don themes of topics. To aid you, you can also choose a stamp collecting software. If you love travelling, you can collect stamps from various places and make a great collection. A few places have stamps showing off significant people who resided there and the history of the place. You can merge your passion, ambition, and interest with stamp collection. Instead of collecting every stamp that you can, you can go for collecting only particular stamps that interest you such as stamps that feature your favorite cars, sport icon, sports, fishes, etc. It is a good idea to collect stamps because it helps you save both time and money. Stamps are not just easy to find but are also affordable. You also have the option of joining a club or any special organization. Such groups have gatherings every now and then. Through these, you will meet people who share your interest of stamp collection. You can exchange stamps as well as learn a thing or two about stamps from the other stamp collectors such as how to take care of them. You can also team up with friends who like stamp collection. 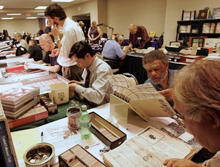 You will have a lot of fun sharing your collection and learning more about each stamp. 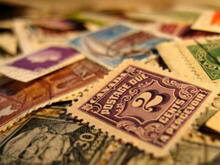 Friends can also help you grow your collection and gather more information about stamps. If you prefer working solo, you can always take aid of the Internet. The Internet is a great place to find numerous different stamps at affordable rates. You can simply surf through and find what you are looking for. This hobby is relaxing and will help you keep stress at bay. This hobby also makes you feel like you accomplished something and that can help you feel great. Stamp collection can also turn into a lifetime hobby because this hobby helps you learn at every step. The coverage that this hobby provides is huge. There are so many different themes and topics that you won’t feel bored at any point of time.